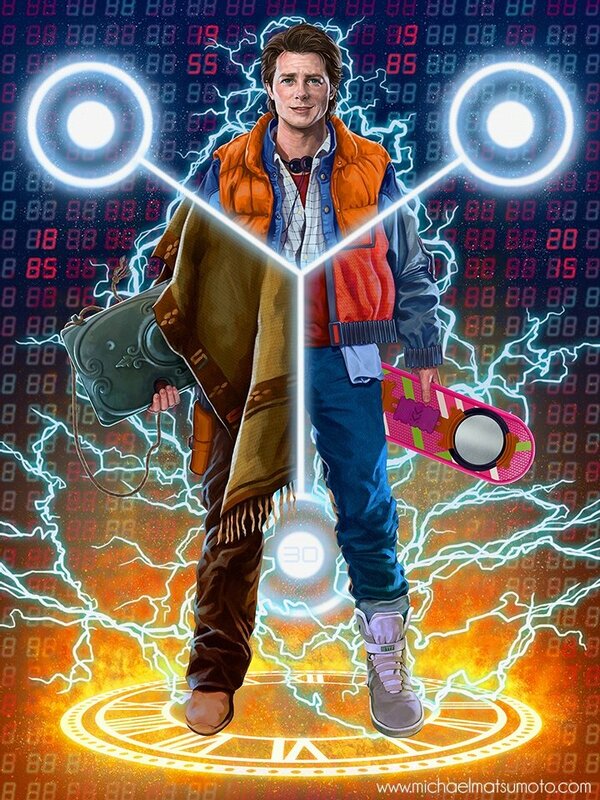 This piece of fan art honoring the Back to the Future trilogy is just stunning. It hits me right in my geek gut. It was part of Popzilla’s Back to the Future tribute art show, “Time after Time”. This piece was created by artist Michael Matsumoto and it is titled W8AMINIT. The coolest thing about it, besides the great artwork itself and the colors, is how it represents each movie in the trilogy. Marty McFly is split into three sections by a Flux Capacitor, showing the main costumes of each of the three movies. The years are highlighted on the red LED digits in the background. Now I want this as a poster!